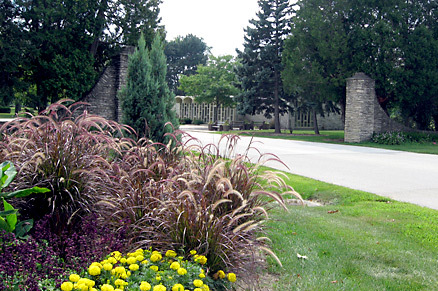 Prefunding of Burial Fees is another popular way to plan for future burial costs. Any lot owner may prefund for a Traditional Burial (using a casket) or for the Burial or Entombment of Cremated Remains . By prefunding this expense, you minimize the future costs of Burial or Entombment. Funds are placed in an Irrevoacable Trust and will earn interest. All interest is credited to the Beneficiary. A final accounting will take place after the service is provided. We offer burials on Saturdays upon request. An additional fee will be charged at that time. We also offer a Tent for use in inclement weather. An extra fee may be charged for this service. Medicaid recipients usually may prepay all other fees as described in this brochure. If you have any additional questions, please feel free to contact our offices at 262-786-6450 or you may send an email to our office through our website using the contact us form.